Discussion in 'Kitpvp' started by JellyBelly, Apr 21, 2017. As you can see in the picture, I've unlocked twice viper and dragon. 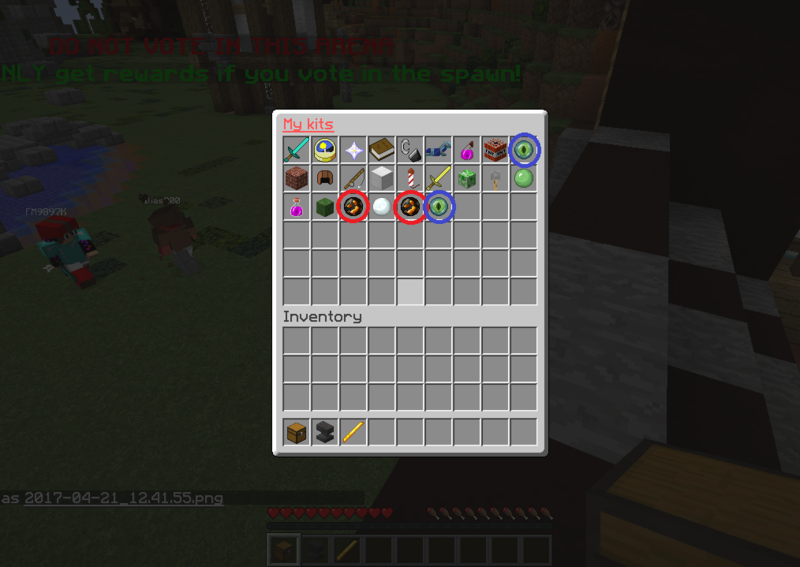 With the new update for kitpvp (in the plugin) it has now allowed the duplication of chests within unlockers to make it harder to receive kits rather than unlocking them all almost instantly, and to add to this it has then allowed the selling of kits so you can still gain money back from it without just having multiple of the same kits forever. The Plugin needs to be worked on as we will be going through kits and editing them to make some more balanced and to make some kits not "useless" such as kangaroo, an addition to this is, to fix /shop and upgrade some the prices gained for selling dupe kits, I think the dupe kits is a good feature, however maybe a decrease in price for kit unlockers should be granted due to the fact.